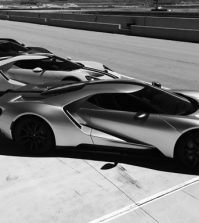 Motorsport.com reports this evening that the new Ford GT race program has jumped from the engineering facility to the race track with a first test earlier this month at Calabogie Motorsports Park. 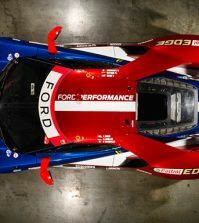 Details are scarce, but Multimatic Motorsports driver and 24 Hours of Le Mans class-winner Scott Maxwell purportedly made two shakedown runs at the Ontario race facility in the new GT. 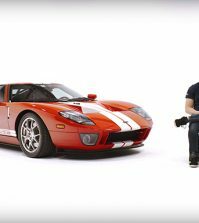 Maxwell has an extensive resume driving Ford race cars, most recently behind the wheel of a Boss 302R. 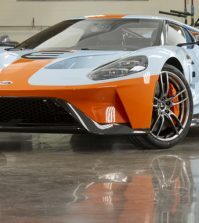 The report also states that former Aston Martin Racing principle George Howard-Chappell has been co-ordinating the Ford GT race program since early 2014. Howard-Chappell is currently Multimatic’s Motorsport Business Director, and is notable for his past successes in GT-class endurance racing. His 550 Maranello GTS class car took a Le Mans class win in 2003, and his DBR9 GT1 car did the same in 2007 and 2008. The new Ford GT race car is speculated to officially debut next month at Le Mans prior to the 2015 24 Hour race. Stay tuned!